Just started some small winter jobs so thought id share some pictures and info. 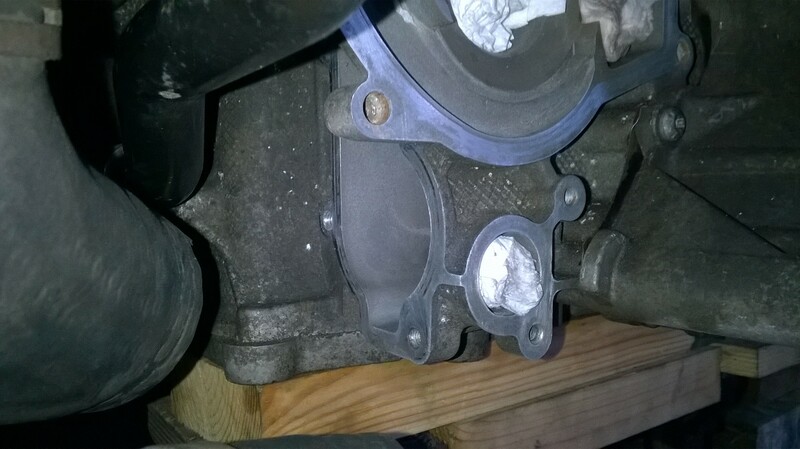 Removed the origanal water pump, the bearing and seal was on its way out. I have spent a few more days working on the old girl!... 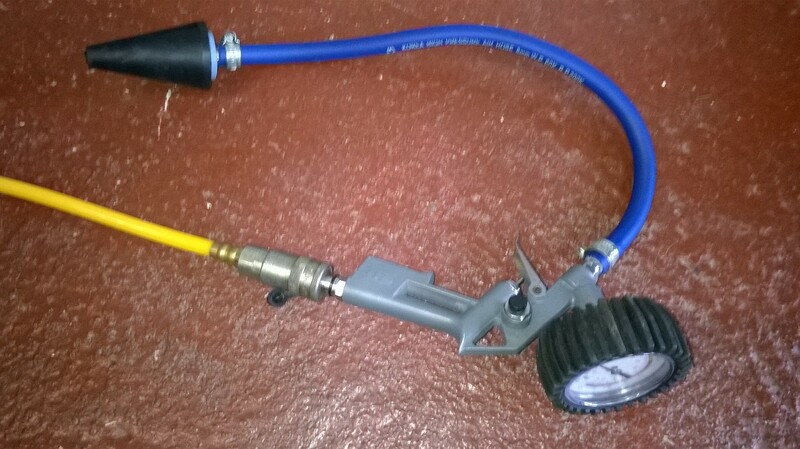 I managed to get the remaining coolant out of the system using my home made tool by disconnecting the two feed & return hoses by the transmission hanger. In total I managed to get out a full 18lts. New parts arrived and needing a bit more elbow space I removed the engine lid so that I could access the tank for refilling the coolant (when I get to that bit). 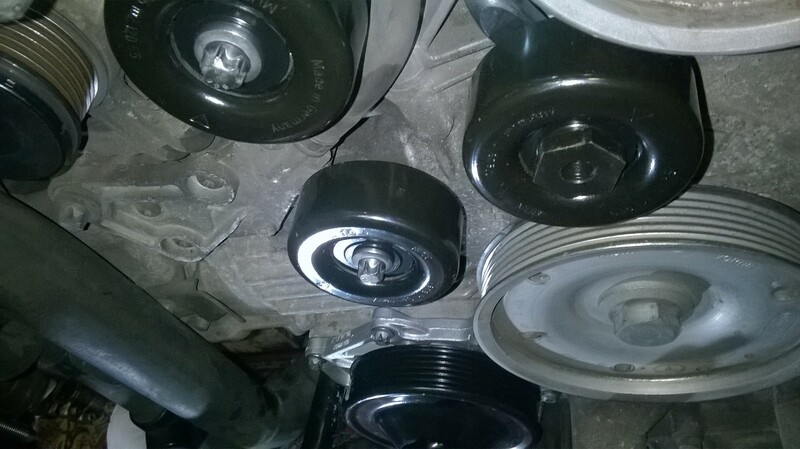 In the meantime I fitted the new pulleys and torqued them to the right NM. For info the upper pulley is at 46nm (mine is an 8. the lower Pulley was 23nm and the tensioner was at 60nm. 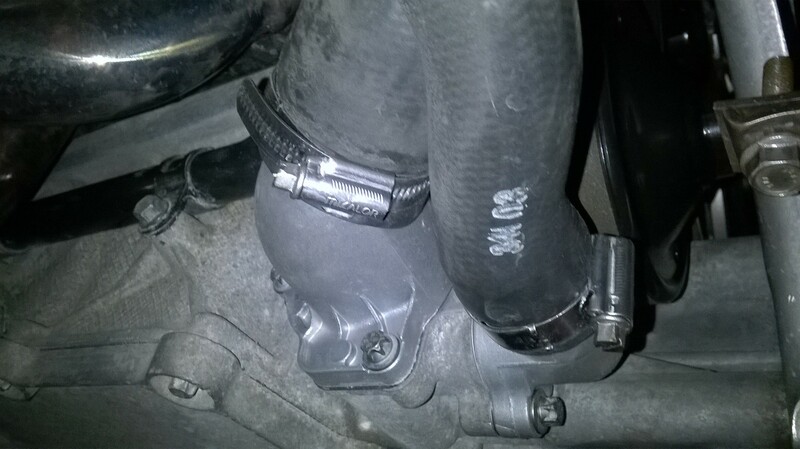 Next I fitted the new Peirburg Water Pump and a Low Temp Thermostat, I found that these were really easy to install with the Exhaust system removed (glad I took the time to do this as it made access and removing the old ones so much easier). 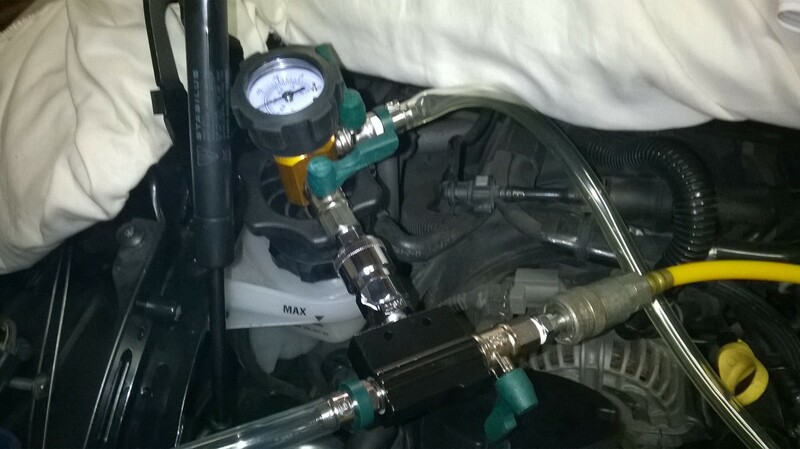 I decided to take DeMorts advice in another post and purchase a new vacuum tool as the one I had previously bought was just a cheapy and to be honest was sh*t and that was before I even used it.. so for an extra £60 I got something decent and run a quick test before going ay further to check for any air leaks on the parts I had fitted. It held at 20 on the gauge for 5 minutes so I guess it is now good to go for the coolant to be added tomorrow. Have added a few more pictures for anyone interested who may be doing similar jobs over the winter - before and afters of pulley, pump, thermo, pipes etc. Yep, Good work. A sensible maintenance path to go down. Like I always say, these jobs are the things that separate enthusiast owned cars from the other 90% that are for sale. 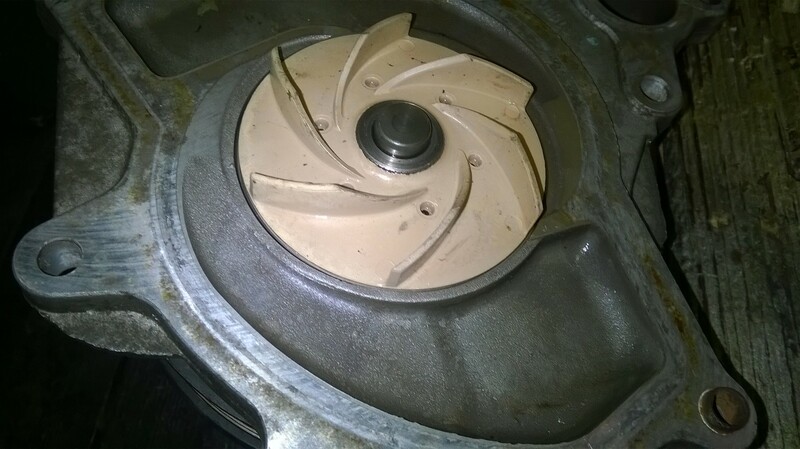 Most people think "Well if my water pump isn't leaking, it's fine", etc. Trouble is if does go it can wreck your engine, so preventative maintenance is crucial in my view. 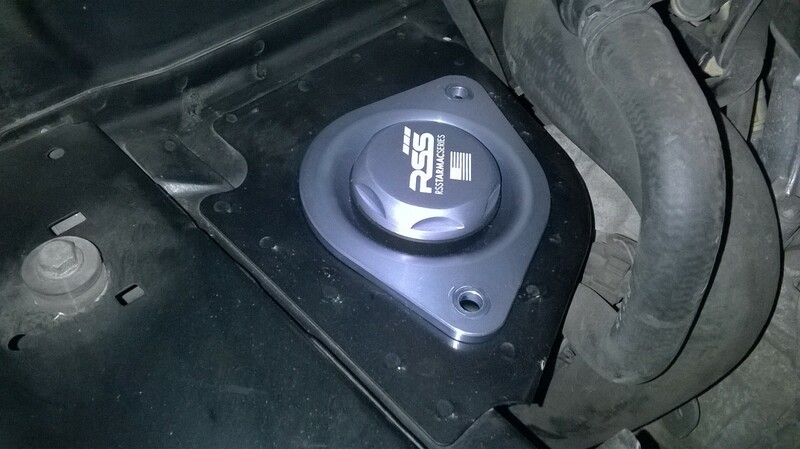 Thanks for the comments, the car had been parked up for a few weeks and I noticed a very small collection of coolant on the floor so turned to the forum for advice. 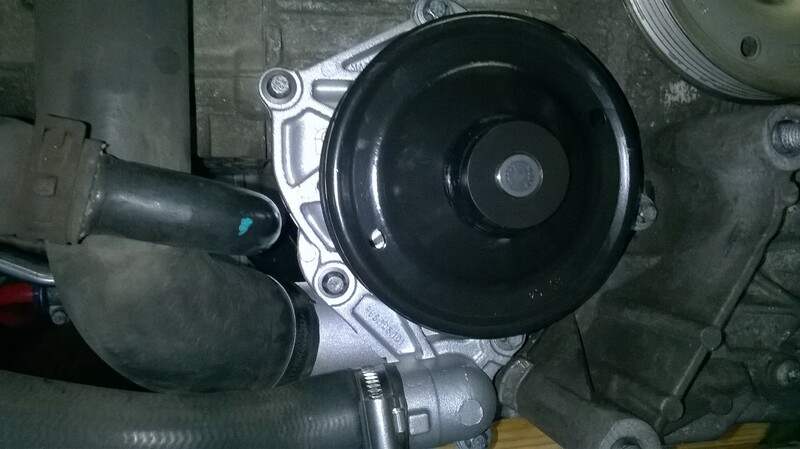 After reading some of the old threads on here I guessed it must be the water pump on its way out and as the car was on 91k I decided to change it. After removing the pump, which was the original, I discovered that the bearing had quite a significant amount of movement so I do feel that I caught it just in time ..... and as we all know 1 job always turns into 10 jobs as I then realised that the pulleys felt worn so decided to change the lot while I’m here and now everything on the back end is off and access clear I might as well add the spark plugs to my ever growing list! 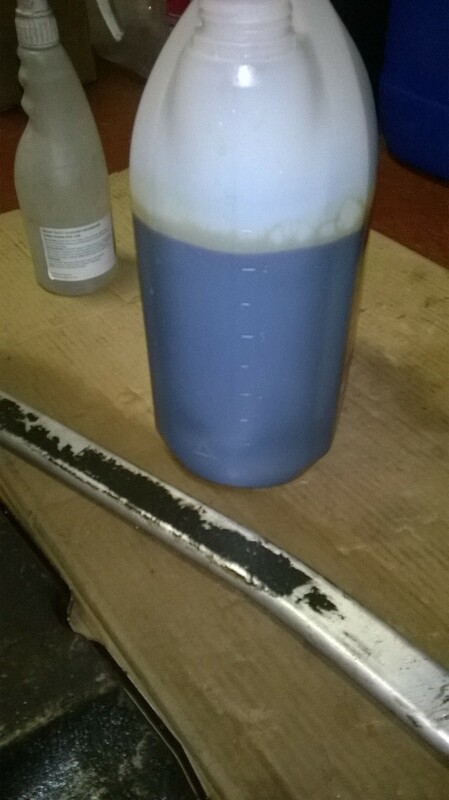 Draining 18l of coolant is good but it still leaves about 5l in there. I had the same issue, coolant left in the heater etc? I filled the system up with water and ran until warm to get dilute remaining coolant drained throughout the whole system and I then flushed it out by filling from the rear and draining out of the rad hose at the front until it ran clear. I haven't got a vacuum pump so I finally filled the system and burped it and added extra coolant as required until full. Took a while but I'm confident that all the sludge and muck has now gone. Why go to such lengths to get it all out? does the last bit drag some sludge with it or something?! I usually just empty, fill with water, run then empty and then fill with coolant mix on a new to me car. Never seen any sludge or muck really. Subsequently I spill as little as poss during the job then just fill it back up as any mechanic would do. I fitted a LTT and my car had some sludge which I think may have come from an old fashioned leak sealant. If the coolant is clean, I would probably just rinse the system out too. 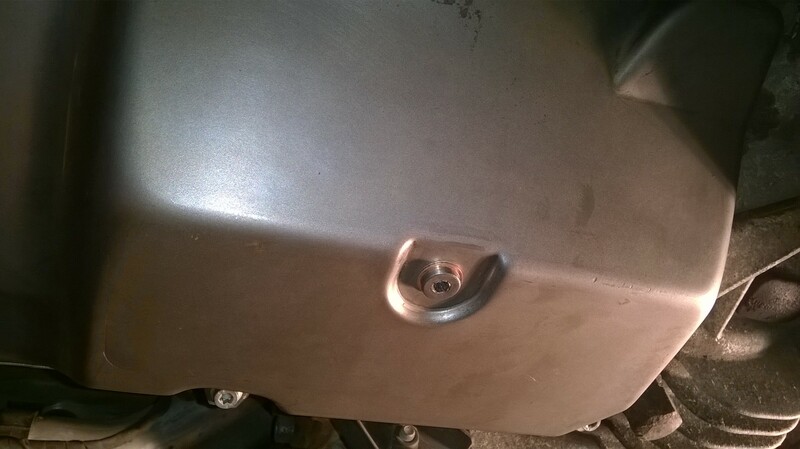 I had got as far a the water pump extra being installed then found I had a little drip appearing.. 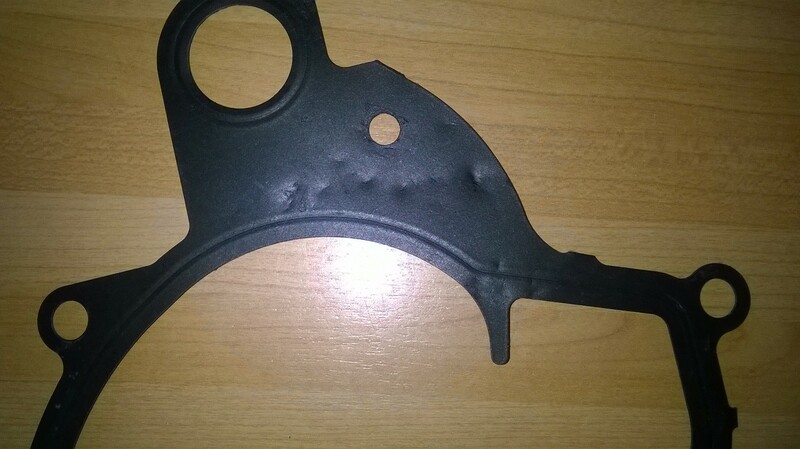 I was half expecting it as the gasket had a few marks on it where it had been packaged but as it was on a flat part I thought it would be ok.. wrong!!.. 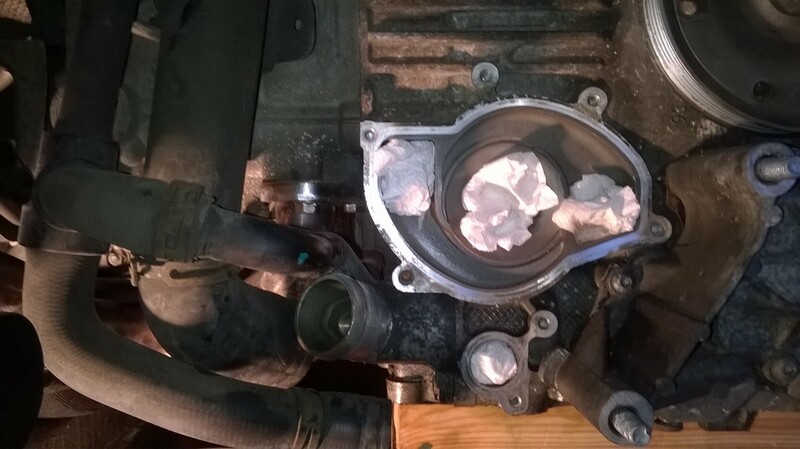 ordered a new gasket and changed it over without trying to lose too much coolant and was hoping I wouldn't have to pump it out but in the end I did pump out all the coolant and put it in again and this time got in a full 22.5 ltr so somewhere along the line there must have been an air lock in the system so moral of the story do it right in the first place!! 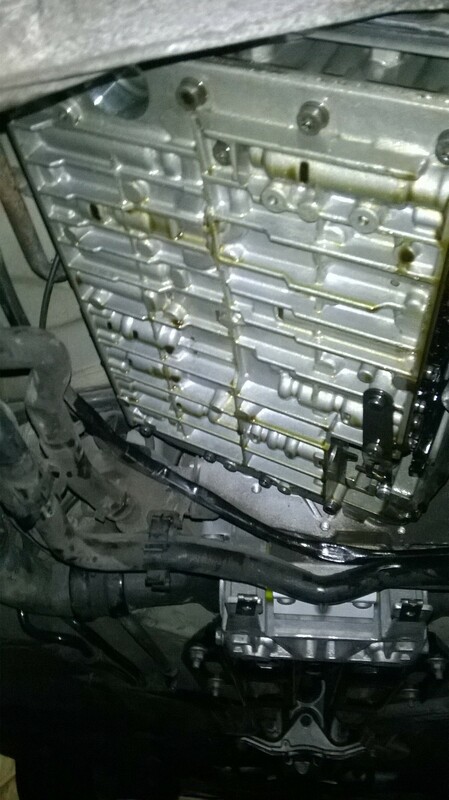 Once I was happy with that and with half the back end off I took the opportunity to change the spark plugs and finally get the engine mounts in place and fitted so that I could take the engine off the blocks. 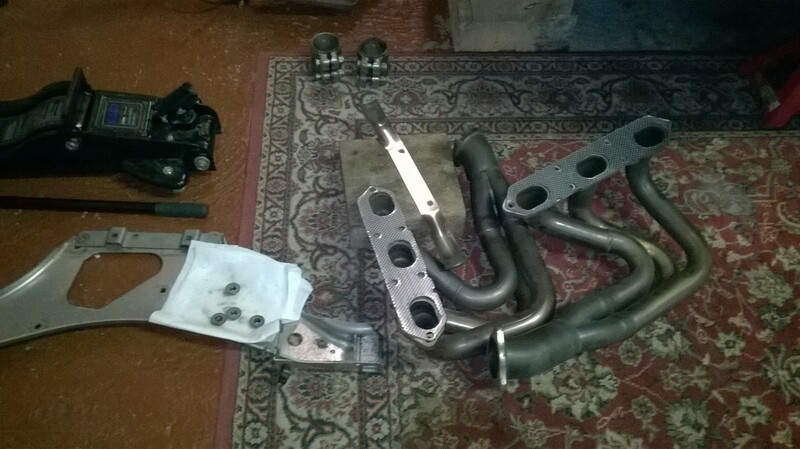 What a difference the new mounts have made to the spacing between the bodywork and exhausts.. was worth doing and once its back on the road hopefully I will really notice how much things may have been wobbling about. 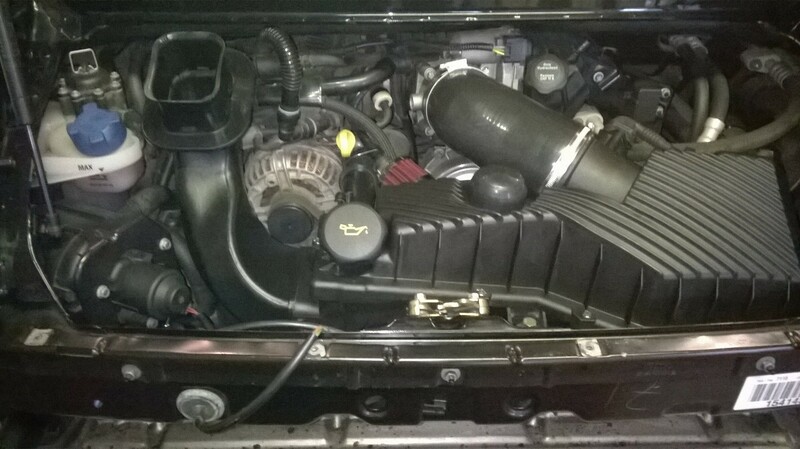 The next day I ran the car in-situ to get the water running thru the system and the new water pump pulleys and thermostat are all working fine and after bringing it up to temp etc I managed to get a little more coolant in and left the breather open to allow any air out. 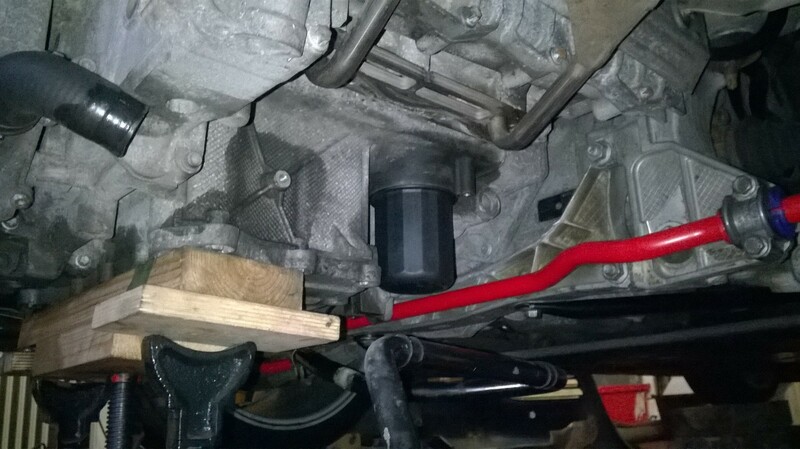 I have now put the exhaust system back on and changed all the gaskets so the next job while I am under here is to remove the sill covers and check for any corrosion and treat accordingly and then I will be looking at the wheel arches as there is a bit of work to do there. I have added a few more pictures to bore you all with and will update again when I have finished the next round of jobs. Nice work man good to see another wrencher on here pottering away during the winter months! Can you let us know which vacuum system you went for? 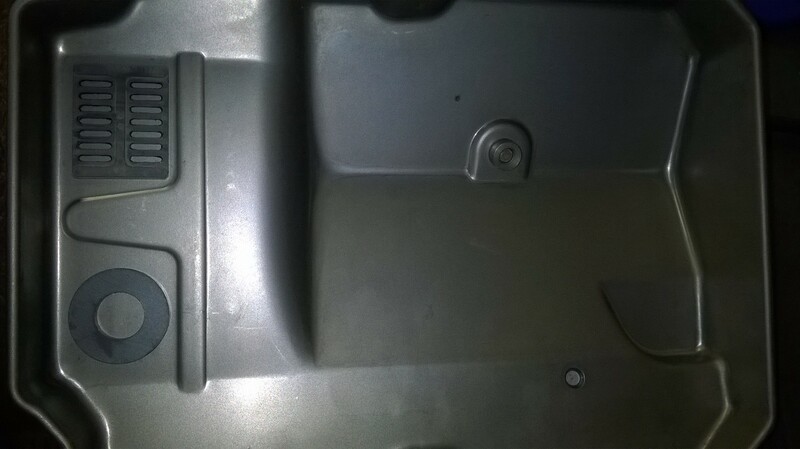 Old box oil .. ouch .. good job replaceing it . 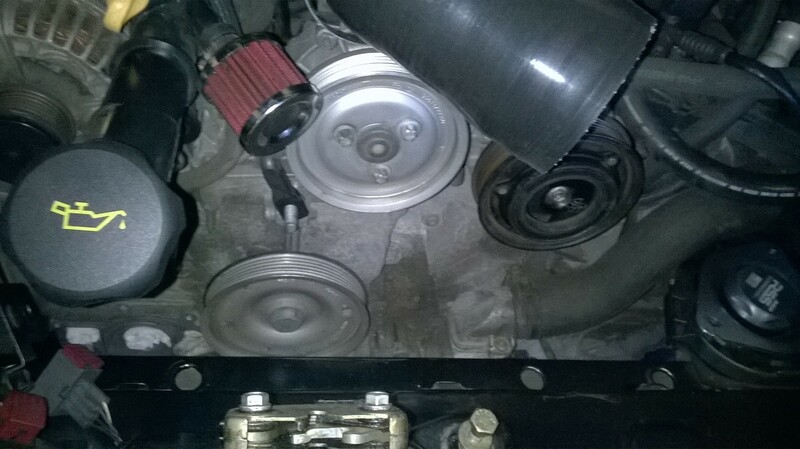 My 2 pennys .. when doing a lot of work at the same time .. start the car and make sure everything is ok after each bit .. ive been caught out in the past doing a lot of jobs then having a problem .. im then unsure of what bit ive done which has caused the problem . Its then a headache .. i dont like headaches ! Yes, keeps me out the wife’s hair!! It’s always a long winter here so no rush to get it all done, I spend most winters going over it with a fine toothcomb. When it comes to the service at my local OPC they always moan that it immaculate and only requires oil and filter change !!! Vacuum pump is Draper and it works very well, recommend by a few guys on here, don’t bother with the cheap ones they are a waste of time believe me I tried one and got a refund, link below. Yeah been checking as I go.... ran it after the coolant & pump change, again after the gearbox oil and after the mounts were done just to check there were no clunks or issues...fingers crossed, so far so good.